I don’t just piece them together from random parts. 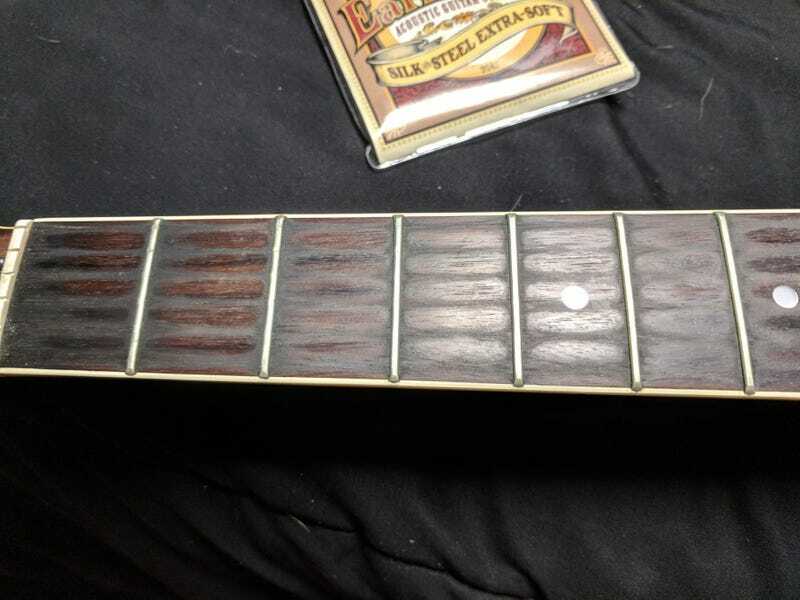 As you can see, the fretboard was pretty grimey. It’s an early 70's Alvarez, Japanese made copy of a Martin. The pores of the bridge were gunked up with wax and stuff. So I took to scraping and sanding. Then put on fresh strings. It played pretty well as it was so I didn’t bother messing with the truss rod, nut, or frets.